Nicole Krauss, with this remarkably felt, sharp-witted debut novel, strides into the forecourt of American letters. 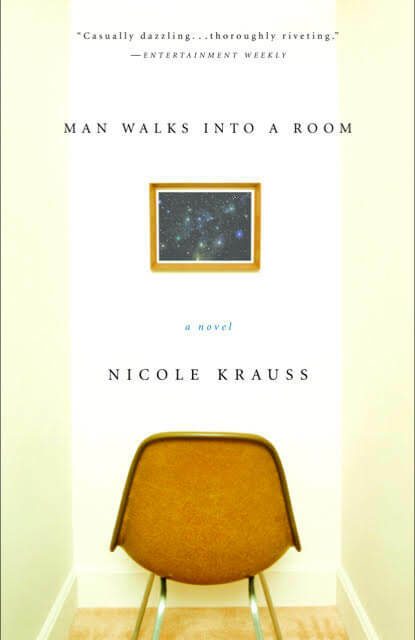 [M]ysterious and compelling. . . . Krauss brings to her work a poet’s gift for seizing upon small but potent details. . . . [A] novel that . . . is hard to forget. By turns creepy, witty, austere, and vibey. . . . A major contribution to the art of collective obliviousness, a lonely meditation on the nature of memory and loss. [G]reat nuance and sophisticated prose that seduces you with its cadences. . . . You’ll savor the last page—and be hungry for future work from this talented author. A provocative first novel. . .beautifully written, intellectually engaging. . .Krauss has a remarkable feel for what is ultimately unfathomable. [A] deft comedy of unfamiliarity... [A] lucid consideration of the metaphysics of mind-shuffling... Krauss celebrates the anything-but-simple art of human connection. A meditative debut novel about the pleasures and dangers of forgetting. . .a chilling addition to the annals of amnesia lit. A deeply philosophical novel, one that strikes upon the nagging paradoxes of modern life. . .With the character of Samson Greene, Nicole Krauss puts a human face on these concerns, and–in prose that shimmers with intelligence–tells us his potent and memorable story. Krauss’s work is both dreamy and precise, direct and mysterious, like a more austere Ellen Gilchrist or Ian McEwan. Memory and the ramifications of losing it are explored with all the precision of a CAT scan. . . . Charges bravely into a tangle of difficult questions. An evocative, finely written first novel that is a true work of fiction. Unique. . . . Intriguing. . . . It is impossible to read this book without wondering what you would do in the same situation; that reason alone is enough to pick it up. Ambitious, cohesive, intelligent, precise and accomplished. . . . Remarkably fresh. . . . Everything in this novel works. An incisive novel of self-invention. A sharp, impressive first novel that leaves one looking forward to her next outing. Poignant and distinctive, forceful and prophetic, Nicole Krauss’s sentences are blazed into these pages like a revelation.